Kicks nasty thistles to the curb. Nasty thistles can't hitch a ride on these Browning® Upland Chaps, thanks to the briar-resistant overlay. 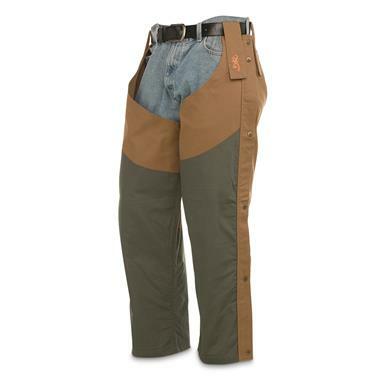 Just throw these on over your favorite hunting pants and tell those nasty thistles to bum a ride elsewhere. 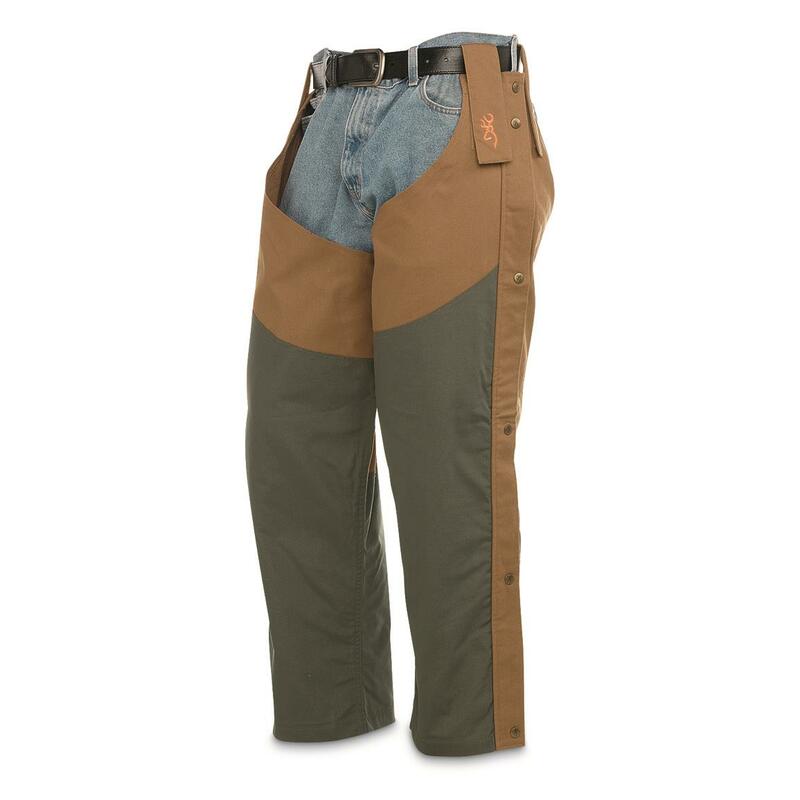 Durable 12 oz. cotton canvas construction. With every Browning® Pheasants Forever product sold, Browning proudly makes a contribution to Pheasants Forever, a dedicated conservation partner that works to preserve America’s favorite game bird.